Sikorsky SH-3D "Old 66" Apollo 13 Recovery. 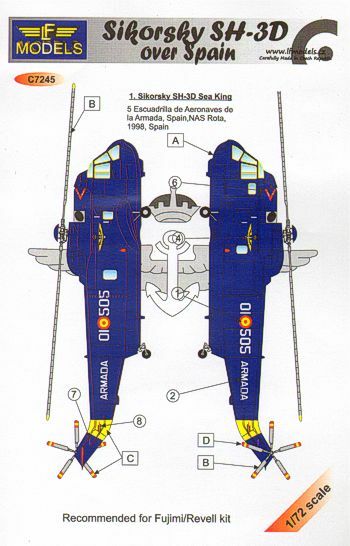 For any 1/72 SH-3D kit. Fujimi recommended. 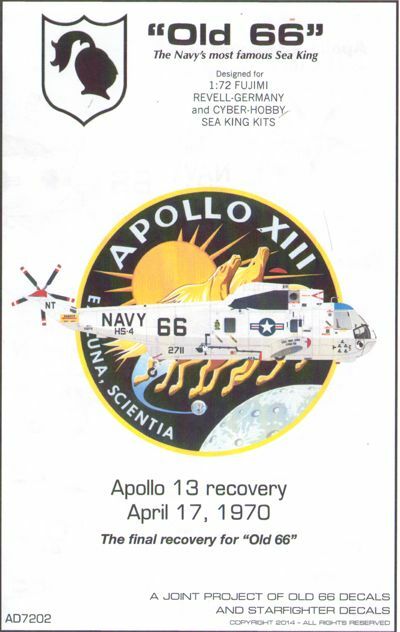 Marking sheet for the most famous USN SH-3D Sea King, Old 66 as it was marked for the Apollo 13 capsule recovery. Instructions give a list of recommended kits and scratch-building instructions for this historical aircraft.